Lake Country residents prize a healthy, balanced lifestyle. In addition to enjoying fresh, local produce in nature's all-seasons playground, locals have access to a wide range of health and wellness centres. HealthLink BC is dedicated to providing accessible non-emergency information and advice to British Columbians. 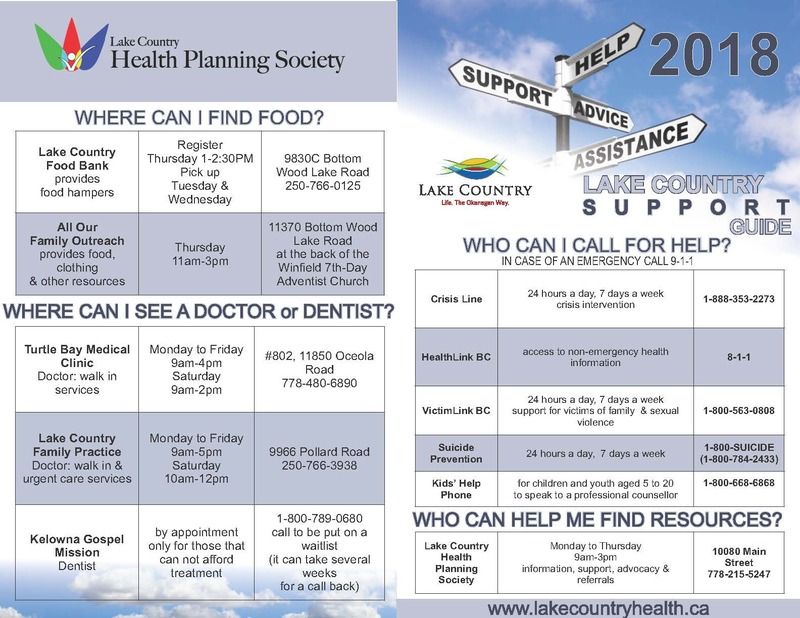 The Lake Country Health Planning Society keeps an up-to-date directory of health services in the community. View the quick reference Support Guide to see where to get help and basic resources. General practitioner offices in Lake Country are listed below. For dentists, chiropractors and other health care providers see the Lake Country Health Planning directory. 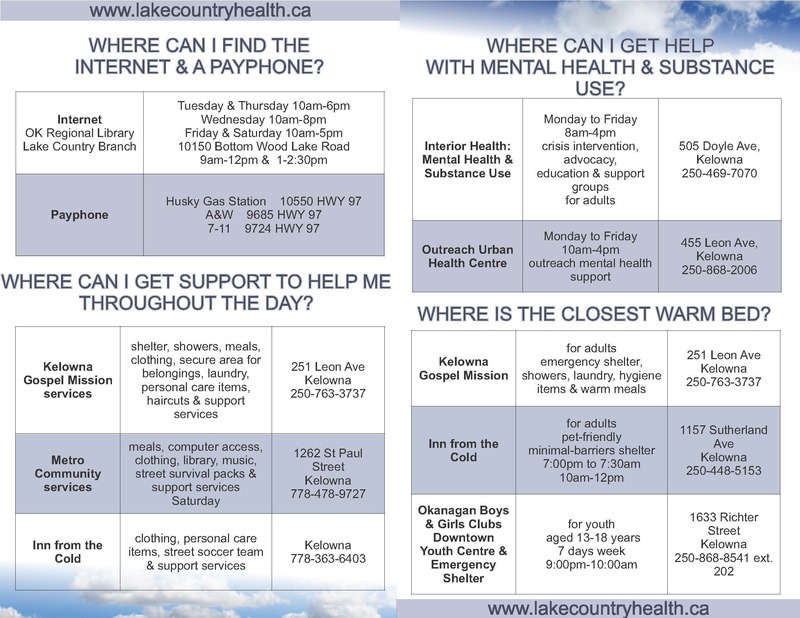 View the Lake Country Support Guide for basic resource contact info.